Who is it going to be? Andre Berto or Floyd Mayweather? Via Instagram, Floyd Mayweather confirmed with an image of Andre Berto as his choice for his final fight that’s going to be live on September 12, 2015 at the MGM Grand Las Vegas. The fight will be air on Showtime Pay-Per-View. So far Mayweather stands with 48-0 and 26 knockouts. If he wins the fight against Berto, this will bring him equal to Heavyweight champ Rocky Marciano who retired with 49-0. Many are wondering if this is a good enough match up with Berto’s 20-3 and 23 knockouts for a final match of Mayweather. But anything can happen. 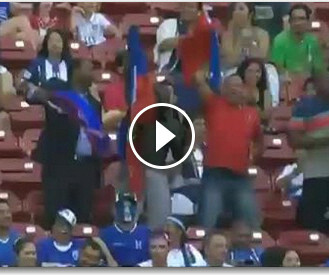 In his last fight on May 2 with Manny Pacquiao, it costed fans up to a $100. Most fans felt like they didn’t get their money worth since Mayweather’s performance was ”pretty boring”, some said. An estimated 6 million people watched the Mayweather-Pacquiao fight last May. It was the most profitable fight in history. 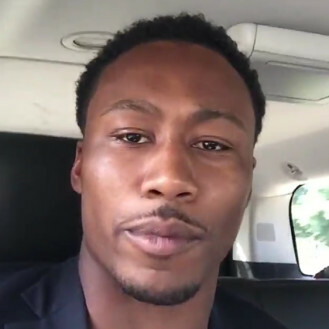 Now rumors out saying this September fight might be free to make it up to the high disappointing number of fans who paid so much money for that boring fight. The Haitian-American boxer Andre Berto will be looking to stop Mayweather’s chance to catch up with retired Heavyweight champ Rocky Marciano this September 12, 2015. Mayweather previously announced he would retire after this fight. Get ready to see history in the making. 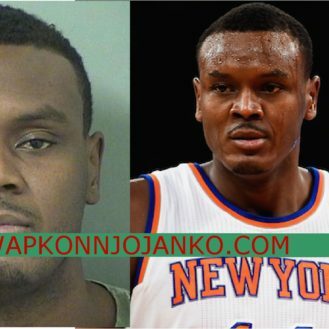 Haitian former NBA player Samuel Dalembert arrested for assault / / / He allegedly beats his girlfriend and her cousin / / / Did he go too far over that?